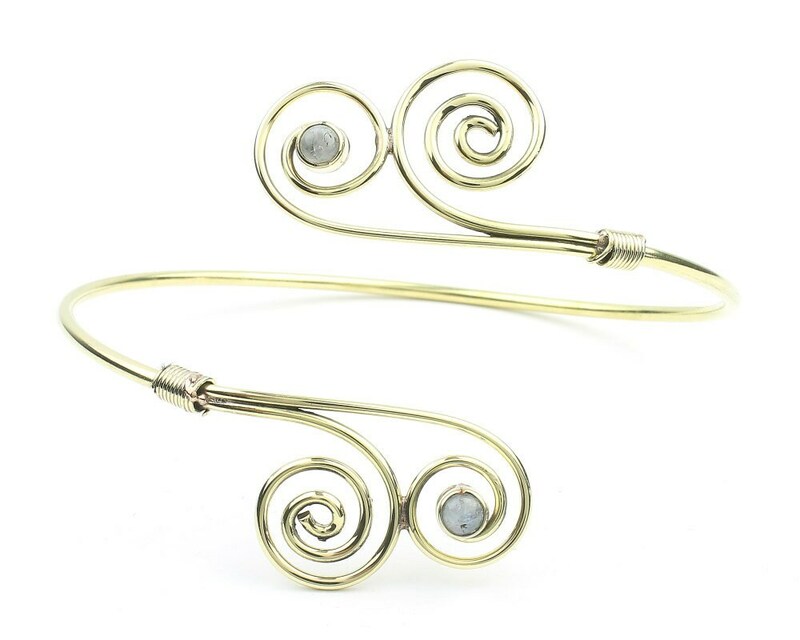 Fun spiral swirl pattern with Moonstone accent stones. Brass wrap around arm cuff, to be worn on the upper bicep area of the arm. This piece is easily adjusted to fit different sizes.